Our goal is to connect people with the best local experts. We scored damage restoration companies on more than 25 variables across five categories, and analysed the results to give you a hand-picked list of the best damage restoration companies in San Francisco, CA. Best Water Damage Repair & Restoration in San Francisco, California covers the areas of San Francisco, San Jose, the Peninsula, Marin County, and the East Bay including Daly City, Hillsborough, Atherton, Redwood City, San Mateo, Sunnyvale, Oakland, Walnut Creek, and San Ramon. Their services include water damage restoration, flood clean-up service, moisture detection, carpet cleaning, dehumidification, mold remediation, large loss recovery, structural drying, storm damage, and fire damage repair. The company aims to consistently provide reasonable and competitive pricing and they offer free estimates. They are a Better Business Bureau accredited business with an A+ rating. Faragon Restoration Ltd. is a San Francisco business that serves commercial, industrial, and residential customers in the Greater Bay Area and has more than 20 years of experience. Areas the business serves include Alameda, Napa, San Mateo, Santa Clara, Sonoma, Solano, San Francisco, Contra Costa, and Marin. Faragon Restoration Ltd. provides include reconstruction, restoration, water damage, smoke and fire damage, leak detection, and environmental services such as mold, asbestos, and lead abatement. The business provides service to mixed-use properties, condominium associations, duplexes, multi-family properties, and single family homeowners. Faragon Restoration Ltd. is accredited by the Better Business Bureau and has an A+ rating. Customers appreciate their attention to detail, thoroughness, professionalism, responsiveness, and workmanship. GCD Restoration is a professional damage restoration company in San Francisco that serves clients in the surrounding Bay Area metropolitan area. Services offered by the company include mold inspection, testing, and remediation; indoor air quality testing; water extraction, structural drying; flood repair; sewage cleanup; and more. The company is accredited with the Better Business Bureau and is certified by the Institute of Inspection, Cleaning, and Restoration Certification. GCD Restoration offers cleaning services as well, specializes in carpets, air ducts, hardwood floors, upholstery, dryer vents, and even pet urine and odor problems. Previous customers praise the company for the speed and effectiveness of its services. Giants Restoration is the go-to resource for outstanding customer-focused service and top-notch disaster relief for San Francisco-area home and business owners. The fully licensed, bonded, and insured company specializes in providing a full complement of critical restoration services including water extraction, sewage cleanup, mold removal, fire and smoke restoration, and much more. The company has an excellent reputation for providing emergency responsiveness and delivering compassionate service when disaster strikes. Residential and commercial customers can rely on the dedicated professionals to arrive on-site with the necessary equipment and skill to handle the aftermath of storms, faulty pipes, overflowing tanks, and more. Giants Restoration takes complete client satisfaction and quality seriously by employing the safest, most efficient techniques to keep homes and businesses from further damage. Mold Muncher provides construction and remodeling restoration services for homes, businesses, RVs, cars, and boats in the San Francisco and San Mateo metro area. Founder Robert Mulhall has over 20 years of experience in the field of mold removal, facility cleanup, and construction renovation/repair. Robert and his staff strive to be a client’s one stop shop for repair and emergency clean ups of mold, fire, water damage, and sewage. They also provide a 24-hour emergency service which works with a client’s insurance company from the start of the job to its completion. Experienced technicians offer a variety of services such as odor control, disaster board-up, dry rot repair, indoor air quality testing and lap sampling, basement pump-out service, and much more. Railway Restoration in San Francisco specializes in water extraction, structural drying, dehumidification, odor removal, and carpet and rug cleaning and repairs. The company’s technicians can repair damage that has occurred due to broken pipes, washing machines that have overflown, leaky dishwashers, clogged toilets, leaky roofs, foundation cracks, and other problems. Railway Restoration offers mold removal, sewage cleanup, and wet basement cleanup services. The company’s technicians work hard to create customer service experiences that leave clients feeling 100 percent satisfied. San Francisco Restoration is a business that is available to serve customers 24/7. The business provides a variety of services including water extraction, water removal, water damage repair, water damage restoration, flood damage restoration, mold inspection, mold remediation, mold removal, mold clean-up, black mold removal, mold testing, mold abatement, and mildew removal. Other services the business offers include air duct cleaning, odor control, air filter inspections, furnace cleaning, air conditioner cleaning, and air quality testing. San Francisco Restoration’s technicians are licensed and insured and the business offers free estimates to prospective customers. Customers remark on their efficiency, professionalism, quick service, and responsiveness. Sutro Cleaning is a San Francisco business that serves commercial and residential customers. Areas the business serves include Diamond Heights, Nob Hill, Castro, Ingleside Terraces, Cow Hollow, Union Square, Marin, Tenderloin, Parkside, Alamo Square, Westwood Park, Pacific Heights, South of Market, Telegraph Hill, Mission Bay, and other areas. 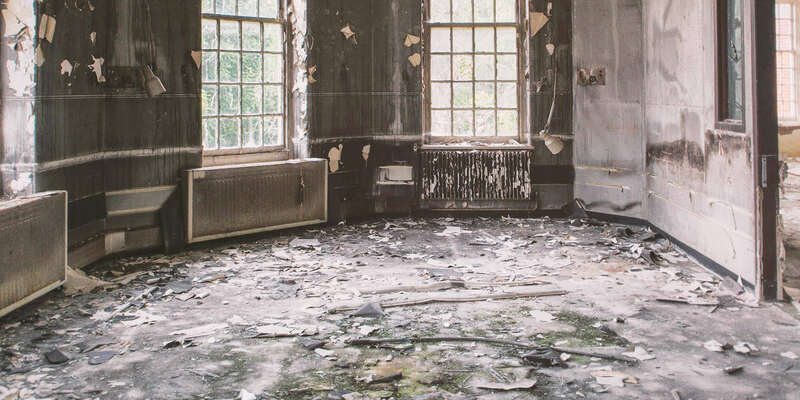 Sutro Cleaning’s services include smoke damage, water damage, fire damage, reconstruction, odor control, emergency board-ups, and thermal fogging. The business works with a variety of insurance companies. Business hours are Monday to Sunday from 7 a.m. to 11 p.m. Sutro Cleaning is certified by Clean Trust and the Institute of Inspection, Cleaning and Restoration Certification. Water Damage Repair is a damage restoration company in San Francisco. They are a professional cleaning company with a team of certified, qualified, experienced staff that aims to satisfy their clients with knowledge, expertise, and up to date equipment. They offer water damage restoration, mold and mildew removal, sewage clean up, air sampling and cleaning, moisture inspection, removal, monitoring and control, and carpet and upholstery cleaning. The company also offers immediate response time for emergency situations, 24/7. Water Damage Repair is an IICRC Certified and accredited business by BBB. Woody's Restoration Services, Inc. in San Rafael, California offers their expert services to the people of Northern California including Corte Madera, Fairfax, Kentfield, Larkspur, Lagunitas, Mill Valley, Novato, Petaluma, Ross, San Anselmo, San Francisco Bay Area, Sausalito, and Tiburon, California. This property damage restoration company was established in 2005 and they specialize in complete water and fire damage remediation. The insurance companies they work with include AIG, Allied/Nationwide, Allstate, California Capital – CIG, Chubb, Farmers, Fireman’s Fund, Hartford, Mercury, Oregon Mutual, Safeco, State Farm, Triple A, USAA, and more. To the convenience of their infinitely valued customers, the company delivers 24-hour emergency service for people in need of immediate assistance. Woody's Restoration Services, Inc. is a Better Business Bureau accredited business.